and the cross-border personnel deployment – are you prepared? The cross-border deployment of personnel in itself entails a multitude of issues and pitfalls. In principle, the relevant questions and issues concern social security, residence, tax and employment law. In the case of a Brexit, this already highly complex matter can become even more complex due to the fact that the present “freedom of movement” may no longer exist in its current form. Possible effects and consequences in the areas of social security, residence, tax and employment law are, of course, subject to whether a Brexit occurs at all and, if so, the manner in which it occurs (keyword: “soft” or “hard” Brexit). In the context of cross-border deployment, employers as well as employees should be aware of the potential consequences of the Brexit and should best take precautions beforehand, i. e. prior to 30 March 2019, to not be unprepared in the event of a “hard” Brexit. Currently, it is widely discussed whether and, if so, which regulations will apply from 30 March 2019. A “hard” Brexit would have serious consequences for the deployment of workers to the United Kingdom and vice versa. In particular, it raises the question of how to deal with “old” and “new” deployments. To give you an initial idea of the Brexit’s possible consequences for cross-border personnel deployment, we have prepared summaries for the individual relevant legal fields, which you can find below. No worries, we keep your staff working. Within the framework of deployments within the EU – comprising the EU member states, Switzerland and the EEA states (Iceland, Liechtenstein and Norway), which, as of right now, (still) includes the United Kingdom – Regulation (EC) 883/2004 applies. Its purpose is to coordinate the social security systems in the EU member states. Such a deployment requires the so-called A1 certificate. It serves as a certification that the activity within the context of the deployment is subject to the sending state’s social security legislation. Thus, if the deployment is made from Germany to the United Kingdom, German social security law applies, provided that the corresponding requirements are met. Inversely, the opposite applies in the case of a deployment from the United Kingdom to Germany. Above all, a Brexit would affect social security law and the existing practice for cross-border deployment. For instance, the above-mentioned Regulation (EC) 883/2004 contains specific provisions to ensure that employees remain in a particular social security system. Aside from the “classic” deployment, this concerns, in particular, so-called “multi-state workers”, i. e. the habitual employment of an employee in several EU member states (for example, in Germany and the United Kingdom). In the event of a Brexit, various consequences are plausible, depending – among other things – on the form the Brexit takes. 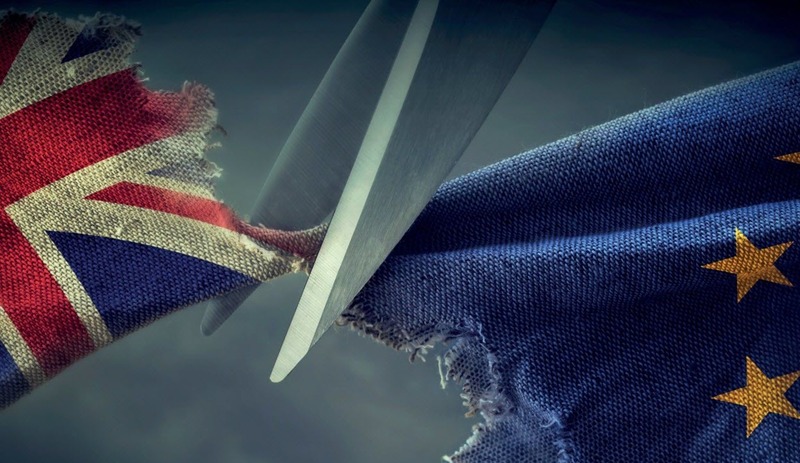 In the case of a “soft” Brexit, for example, Regulation (EC) 883/04 might still be applicable (e. g. by way of an agreement between the EU and the United Kingdom), with the result that, in principle, the status quo would remain unchanged. In the case of a “hard” Brexit, however, Regulation (EC) 883/2004 would no longer apply. According to the prevailing German legal opinion, this would result in the Social Security Convention between the Federal Republic of Germany and the United Kingdom, dated 20/04/1960, to apply once more. Since the Convention does not cover all branches of social security and does not contain a provision for so-called “multi-state workers”, deployments would become much more complex and would require a careful assessment on a case-by-case basis. In the event of a Brexit, aspects of residence law would also require special attention when it comes to deployments to or from the United Kingdom. The question of the employee’s nationality, for example, would be of vital importance. Is the employee a British national or an “EU citizen” (meaning citizen of the European Union, of a member state of the European Economic Area (EEA) or of Switzerland)? Depending on the answer, the employee may be regarded as a so-called “third-country national” within the meaning of residence law, which might require obtaining a visa or residence permit for cross-border personnel deployment. Once again, the occurrence of a “soft” or a “hard” Brexit is the decisive factor here. In the event of a “soft” Brexit, for example, it is possible that, in the future, the United Kingdom might become a member state of the EEA, which would result in no changes with regard to residence law. Another plausible scenario would be another form of association which would have no consequences under residence law either. A “hard” Brexit, i. e. without any form of association, would be the worst case scenario from a residence law perspective. In this case, the United Kingdom would be treated as a “third country” under residence law. In this case, the freedom of movement for employees within the EU would no longer apply and one would have to examine the respective national legislation on residence and work permits. Depending on the employee’s nationality, it may become more difficult to obtain a residence permit, as third countries or third-country nationals are generally subject to higher requirements for visa and/or residence permits. The time aspect (longer duration for the application procedure for visa etc.) should not be disregarded either. All this shows that residence law may play a much more important role in the future than it has so far and, as a result, these aspects need to be considered. The Brexit may also have an impact with regard to employment and labour law aspects. A plausible scenario, for example, would be that the employer is based in the United Kingdom and requires a particular licence to operate on the European market, which might no longer be available after a “hard” Brexit. One option could be a corresponding formulation of the employment contract which provides for the employee to be sent to a group company with registered office in an EU member state which still has the necessary licence, and for the employee to work or be able to work in EU member states on behalf of such group company. In that regard, various contractual arrangements are conceivable. The residence, social security and tax law, according to which the employment contract should be drafted, need to be taken into account as well, of course. To find out about the latest information relating to the BREXIT and our other areas of expertise, please visit our Blog. For further information please contact Mr Felix Müller (Rechtsanwalt).